One of the greatest sporting events took place on June 30th. This was Trim vs Bective in an almighty fishoff! In Honour of our 75th anniversary Bective anglers invited Trim,Athboy and district anglers to a friendly fish off. We each put forward ten anglers to represent our clubs.The date was set and the venue would be Bective waters. We met at Bective mill that saturday evening , There was a fantastic BBQ put on for us with lots of food and drink and plenty of craic happening. In the interest of fairness anglers from each club were paired off with each other and fished in different beats . Bective have a lovely stretch of river with varied waters, plenty of fly life was noted , lots of sedge , olives and spinners were around on the night. The fishing would be from 7.30 to 11 in what turned out to be a classical summers evening, the fishing was challenging and trying to get a measuring fish was tough. 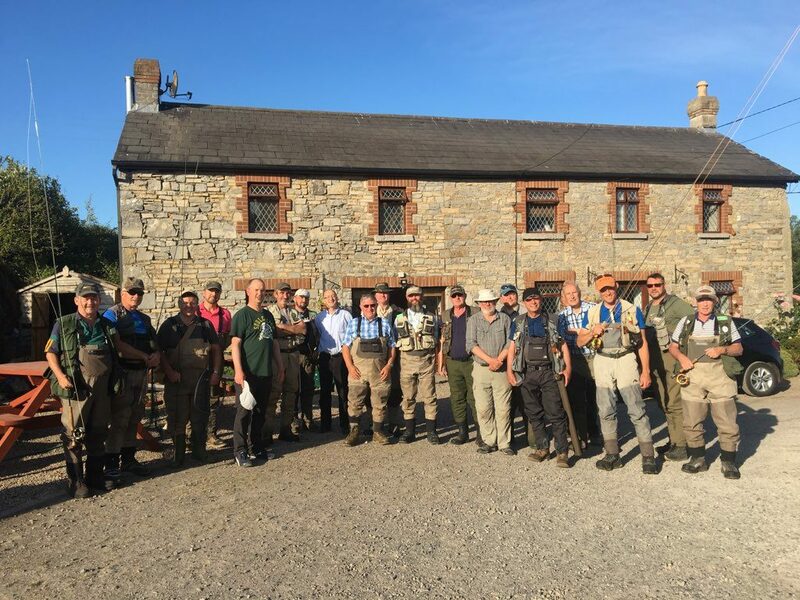 We all met back at the Mill to find out the result , Three fish were returned, Two for Trim and One for Bective, We were victorious! A big thank you to Bective anglers for hosting the event and looking after us so well.